Cat Person? Dog Person? Or Arrgghhh Person? 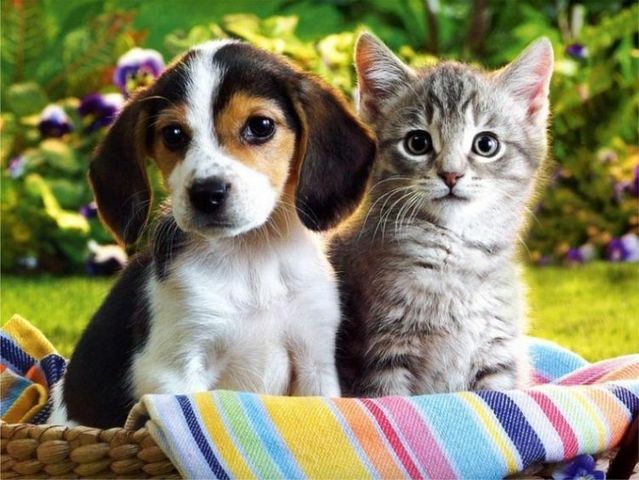 It’s said that most people are either cat lovers or dog lovers, who doesn’t enjoy taking your pooch out for walks on a glorious morning or cosying up on the sofa with a contented cat purring away in enjoyment. This fear can develop suddenly without an actual incident to provoke it, or it can be a result of an unfortunate incident from a past time. You can also indirectly pass on phobias to your children. Were either of your parents afraid of something that you are now afraid of too? In any case, these feelings can mature over time from a harmless fear into a phobia. Where the sufferer imagines scenarios involving the fear, in this case cats or dogs, and imagines themself to be in a perceived negative state with the object of fear e.g ‘The dog in the park is going to bite me’ This event actually hasn’t ever happened, but by now the belief is so strong, the sufferer believes it to be true. Having fears and phobias of any kind is debilitating and it can have a huge impact on your life and lifestyle. Dictating what you do, where you do it and who with. It can upset family life, it puts pressure on other people particularly partners and children to adapt their lives accordingly to deal with your phobia. This adaptation from everyone else further strengthens your belief that your fear is real, it’s got to be real if other people understand it, right? Do you know someone who won’t go on holiday because they are scared of flying? So this means the partner and children can’t go abroad on holiday too. Are you in a trap that you wish to escape from? Hypnotherapy for fears and phobias is an effective way of dealing with your fears. My client has held onto an irrational fear of animals like cats and dog’s for over 35 years, so much so, her mind and body didn’t know any different and would instantly begin to panic when ever these animals were around. Today, I am so pleased, after just a few sessions she has just sent me a picture of her stroking a dog!! This is fantastic news, such an achievement!! The relief, the freedom of the sheer weight of this anxiety and phobia she has been carrying almost all her life, has now fell away and she can move on in her life!! What is your story? Do you have a fear, anxiety or phobia that is preventing you from living life to your fullest potential? Lets see how I can help you at The Leicester Therapy Centre to enable you to release these fears and move on in your life. How to choose your therapist. If you’re looking for a therapist, you probably have come to the decision after a period of soul-searching, self medication or feeling low about life or the circumstances you’re in. Going to the hair salon or a Spa is a great for pick me up and most reputable places have a presence on your local High Street where their familiarity assures you, so when you do eventually pop in you feel like you already know them. This is the premise that all major stores and company’s adopt, there is a reason for their constant advertising, its to buy you in without you even realising it! The Hypnotherapy profession is enjoying some positive exposure in the press, notably for the amazing results achieved in weight loss, including virtual gastric band hypnotherapy. Smoking cessation is also very effective and to date holds the most impressive success rate against all other methods to stop smoking. This is wonderful new as Hypnotherapy is one of the most commendable ways to tackle many of the problems and difficulties that life throws at us. However Hypnotherapy is not just for weight loss or to stop smoking, this I will cover in more detail in another post. So after some time you realise you’ve had enough of dealing with problems on your own and are looking for a therapist. Where do you start? You may recall an advert here or there, but at the time you didn’t need it so never gave it a second thought, besides who keeps old magazines and papers theses days? Most likely the first port of call will be good old Google, how did we manage without it? You may google ‘weight loss hypnotherapy in leicester’ or ‘how to stop smoking once and for all’ or any manner of search terms and Google will throw up an infinite number of results for you. How do you know one which are the reputable establishments and who really is who? I would suggest you look at the most respected Governing Body for the profession you are interested. For Counselling and Psychotherapy in the UK it is the BACP, for Hypnotherapy the largest and most respected organisations are the NCH and the GHR. These are independent regulatory bodies that set standards of practice, research, assess and monitor practitioners to ensure they are practising within the law and its members agree to work within their Codes and Ethical framework. They have very informative websites with lots of information useful to arm you with knowledge that will enable you to make an informed decision. They also confirm that your practitioner is suitably qualified and insured for your safety. The Hypnotherapy Directory is the largest independent advertising directory and only advertises therapists who are members of these organisations. There is also the CNHC, which has been set up the Government to regulate Complementary Therapies and is used for referral by your GP and to protect the public. So after sifting thorough lots of information you may have a list with a few choice names. Location is another factor, if you are seeing someone for a one off treatment such as smoking cessation you perhaps won’t mind travelling but if its something that requires a few visits you may need them to be local. Most reputable practitioners will have their own website, and this is useful to compare their information, find out about them, their style and manner and this can help you whittle the number down if need be. with the advent of all manner of social net working sites, are they on Twitter or Facebook? Do they have a blog? Is the content up to date, updated regularly, relevant, informative, professional and interesting? Does it matter to you if they are male or female? Now you have narrowed the field to one or two favourites, the all important step is to make contact. I would suggest a practitioner who has all major avenues of contact, being a landline, a mobile, and an email address fills me with more security than just a mobile number and a name. Depending on your preference you can send an email or telephone them, and see what response you get. If you send an email, what is an acceptable length of time to wait for a reply? You may get their voicemail (they should have this) as if they are with clients they will be unable to take your call. Any professional will respond to your email or voicemail within 24 hours or sooner. How do they sound on the telephone? Most therapists should be happy to have a free informal chat with you before you part with your money and this will go a long way in you deciding how you feel about them. Did they respond promptly to your email and how did they make you feel? Be wary of someone who has a secretary answering the call and is only interested in booking you in for an appointment. they are likely to be an independent telephone answering service with no actual idea of the therapy and cannot answer any of your queries. By speaking directly to your therapist, you can make an informed choice and go with your instincts, chosing whoever you feel most comfortable with. The relationship you have with your therapist, is known as the Therapeutic Alliance. The happier you are with your therapist, the stronger your alliance will be. Press exposure of a particular therapist does not guarantee their effectiveness, but it will almost certainly guarantee a hike up in their prices. Do you see your therapists profile on relevant Hypnotherapy boards with transparent feedback and interaction or are they a one man operation self-regulated and a law unto themselves? There are many well qualified and highly effective new therapists out there, and there are long established complacent ones. Many practice out of their home office which is perfectly acceptable and reduces costs, if you prefer to visit an office on Harley St or similar you can find this too. If possible you can’t beat reccomendation from someone you trust, as they will have first hand experience and this will guide you well on your way to sucessful therapy. Approach a professional body and see who is qualified and insured in your area. 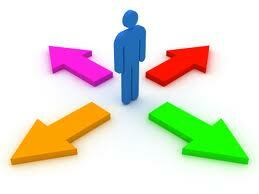 Contact your favourites and be guided by your instincts, who will you get on well with? Don’t be afraid to ask for reccomendations from people you know and trust. Good luck with your search, and please do get in touch if you would like any more help or information.